Reported by The Borneo Post on 30/03/12, Cypark Resources Bhd (Cypark) concluded a renewable energy power purchase agreement (REPPA) with Tenaga Nasional Bhd (TNB) that allows it to start selling its green energy from March 28 this year. Two of its wholly owned subsidiaries, Cypark Suria (Pajam) Sdn Bhd and Cypark Suria (Negeri Sembilan) Sdn Bhd signed the REPPA with TNB for a feed-in-tariff (FiT) concession period of 21 years for electricity generated from its eight megawatts (MW) solar park in Pajam, Negeri Sembilan. With the completed execution of the power purchase agreement by TNB under the Renewable Energy (RE) Act 2011, Cypark would be allowed to start exporting and selling its solar energy to TNB grid starting from March 28, 2012. “Our RE development team will now focus our effort in building other new solar projects scattered across four states, with targeted additional solar power installed capacity of 25 MW by this year end. “Starting from year 2013, Cypark expects to generate annual combined revenue of up to RM45 mill from the implementation of 33 MW solar farms alone and the revenue will be recurring until year 2033,” said Group chief executive officer Daud Ahmad. Cypark would start receiving payment from TNB within 21 days after monthly billing was issued. 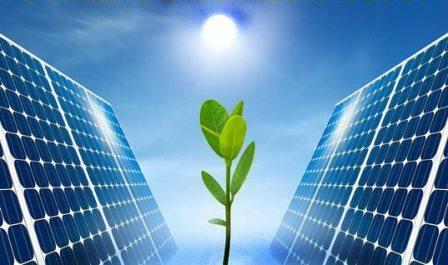 The total green energy sales from the 8MW solar plant wa estimated at RM11 million annually.